Home Cast iron cookware What are the pros and cons of cast iron cookware? What are the pros and cons of cast iron? Maybe your’e thinking about using the cookware for the first time and you’re looking into some of the benefits and disadvantages before deciding. If you enjoy cooking with your treasured pan you’re not alone. Here at Boonie Hicks we sure do have time for iron cookware. However if you’re thinking about using cast iron cookware for the first time “Good for you” we’re sure you’ll make lots of great meals. In the article we’ll go into some of the pros and cons of the cookware. Great for those of you that adore your cast iron pots and pans and what to read about what you already know. 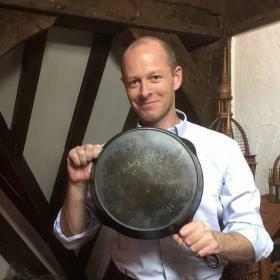 However this article is really intended for those that are a little hesitant to cook with cast iron. Have you heard of Staub? It is some of the best cast iron you can use. Unlike bare cast iron which needs to be seasoned, enameled requires no seasoning. I saw this beauty going for a song on amazon. I’m not sure if this a Black Friday deal so I don’t know if this deal will last long. If you have a few reservations its quite understandable. “Its heavy” is what comes to mind for many who don’t use it. It certainly is heavier compared to really thin pans and the weight does take a little getting used to. However we believe a good cast iron pan will do you proud for many years. Also it only takes a day or two to get used to the weight. What are the pros and cons of cast iron? We’ll give you the good and the bad. 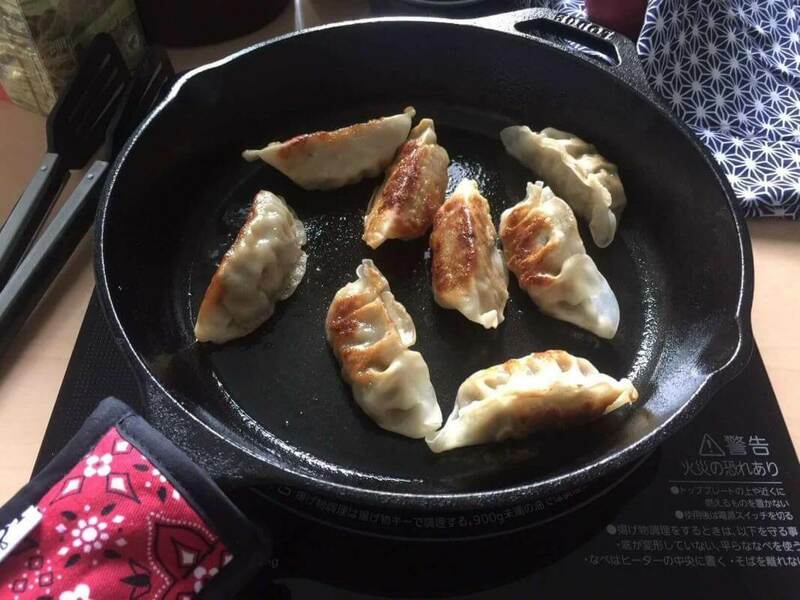 So, “What are the pros and cons of cast iron cookware?” We will focus on the advantages and disadvantages of bare or pre-seasoned cast iron. We are really referring to non-enameled cast-iron cookware. Non-enameled cast iron is often called bare or pre-seasoned cast iron. Although they will have some cross-overs both positive and negative points. There will also be benefits and disadvantages differening from each other. Bare cast iron will be familiar to most, it has been used for centuries and used by many different cultures around the world. It has that lovely black seasoned finish that is reminiscent of years past. Proud owners of bare cast iron may put a layer of seasoning on the cookware to protect the iron from rust and deterioration. This seasoning also has non stick properties making cleaning much easier. Seasoning (process heating oil past smoke point to form a layer of polymerization) makes the cast iron, which is usually silverly to dull grey the luscious black colour that we all know and love. Since the innovation of pre-seasoned ironware by the Lodge Manufacturing Company most cast iron on the market today comes pre-seasoned. This is wonderful for customers, it allows new owners to be able to use their cookware straight away without the hassle and time required to season new cast iron. If you are looking for a new piece of cookware I highly recommend cast iron, primarily because its the most fun to cook with. However with all cookware, its not perfect. Lets look at the pros and cons of bare cast. Well seasoned cast iron cookware is easier to clean than stainless steel. Cast iron has great thermal density. It remains hotter for longer. Cooking in cast iron can naturally add iron into meals. Long lasting. I mean there’s some real old pieces still in use today. Cheaper than enameled cast iron and high quality stainless steel cookware. Cast iron is extremely versatile. Cast iron is heavier than other cookware. Bare cast iron is not the best for boiling water and cooking acidic foods. Bare cast iron may need re-seasoning. Cast iron takes longer to heat up. It’s stronger than kitchen tiles and toes. Ouch don’t drop it. Ouch cast iron does get hot, Great way of protecting your hands is handle holder. Cast iron does get hot. You’ll probably need a skillet handle holder. Lodge sell handle holders and they are really popular. I have the cotton handle holder with works great but the best seller is the silicone version. Here’s a link to Amazon below if you’re interested. Even though we at Boonie Hicks are cast iron enthusiasts we have tried to keep it balanced. We have weighed up both the pros and cons carefully without any bias. Everything after all has both pros and cons and cast iron is no exception. It must be said, some people love to cook with iron while others are happy with their non stick cookware. Okay lets go a little further into both benefits and some disadvantages of bare cast-iron. The first one is a little difficult to answer. 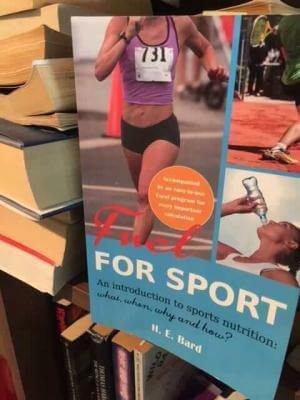 Lets dive right into it. Is the seasoning on bare cast iron a positive or a negative? I’d probably say it’s both. Seasoning may put a lot of people off cast iron. It can seem a little involved and daunting. However, it’s really easy to do and most cast-iron comes pre-seasoned ready for proud owner to use straight out of the box. Best of all seasoning slowly builds up over time. What is seasoning on cast iron? Seasoning or really oil the that is baked into the pan, gives the cookware a smooth finish and makes pots and pans more non-stick. It also protects the iron from rust and separates food from the metal surface. Pro. Can I use a scrubbing brush or Scotch-Brite pad on cast iron? I use a brush and the yellow site of a Scotch-Brite pad with no issues. However, if you like to use a hard scrubber, green abrasive site of a Scotch-Brite pad or want to throw your pan into the dishwasher it is not recommended. Dishwashers are very good at what they do. Too good, it can remove the protective layer of seasoning and then you may have to reason your pan. Con. Many cast iron fans use a couple of cleaning items, one is a plastic scraper and the other is a chain-mail scrapper. Either one is perfect to help make clean up easier without damaging the seasoning. If I were you I’d go for the Chainmail scapper. The chainmail is easy to raise out. I also make a lot of scrambled eggs which makes my yellow sponges go scummy, so the chainmail saves me from throwing out a sponge. 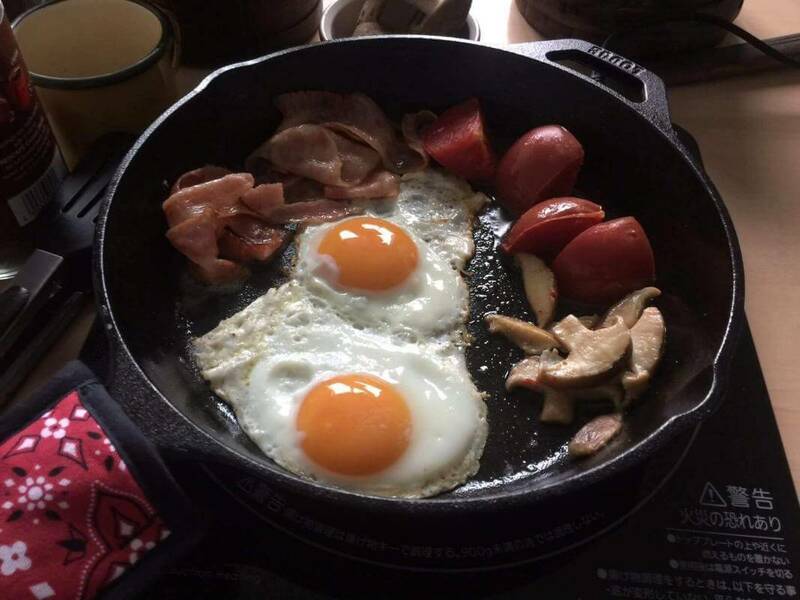 Cast iron will keep food warm while on table. Once hot, cast iron remains hot even when taken off the heat source. This is ideal to keep food hot while preparing other dishes or keeping food hot on the table. Those yummy roast potatoes or corn with a little butter on top. There’s nothing better, friends love taking seconds when food is still hot. Big Pro to cast iron. Cast iron cookware comes in so many sizes, you can choose the best size for your needs. Manufactures make a wide range of sizes. Big and small skillets and of even dutch ovens for single servings are available. They are great for meals served on the table without taking up to much room or for singles it’s perfect. That’s another Pro. Cooking in cast iron, the cookware naturally releases a little iron into your meals supporting the daily requirements for the body’s needs. The amount released is determined by the acidity in the food and the layer of seasoning on the pan. Seasoning separates food and the bare metal pan. The thicker the seasoning the less iron that is released into food. If you have any questions, have any blood conditions or take iron supplements, we recommend consulting a doctor or nutritionist before using cast iron cookware. Im not a medical practitioner. Seek professional advice. What you do think? I think its better to give a Pro and Con. It really depends how you feel, for some added iron is a positive point and other others its a negative. It’s going to last a long time. If you decide on purchasing your first cast iron pan, which I hope you do. It will most likely be the last one you’ll ever need. Some skillets and dutch ovens from the early foundries are still as usable today as they were when they were first made. The big names were Griswold and Wagner back in the day. These two foundries made very high quality cast iron cookware and they had a very smooth cooking surface. 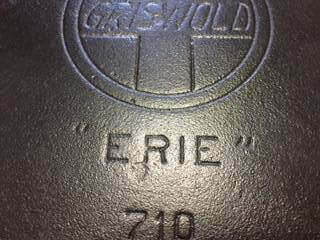 Both Griswold and Wagner are considered to be some of the best vintage cast iron ever produced and are prized processions by many cast iron collectors. We can not forget about Lodge, much of their ironware is still in use today, many pieces are over a hundred years in age. Here’s another Pro for cast iron cookware. Since cast-iron cookware is a little thicker and heavier today, they may last even longer. The thiner older pans are more likely to warp or bow under sudden temperature changes. If you have lovely old pots and pans please pre-heat them for a few minutes first. Benefit for new cast iron. Pre-seasoned cast iron is cheaper than enameled and quality stainless steel cookware. If you want to know why use a cast iron skillet or dutch oven there are many reasons. One of the main reasons is it’s going to last a mighty long time and for surprising little money. Lodge offer great value cast -iron cookware. I’d really consider going for these guys. They’ve been around a long time and they make some real nice stuff. They also have lots of tradition and heritage which we love at Boonie Hicks. With a little care it’s only going to get better with age. You’ll never have to throw away and replace your cookware ever again. Longevity, iron is king. Pro. The versatility of cast-iron cookware is incredible. What are the pros and cons of cast iron cookware? Well it can do pretty much any cooking job. Frying – not only is cast-iron great for pan frying fish fillets, but also deep fried chicken comes out a lovely golden colour. Baking – cornbread comes to mind first. However pastries, desserts and breads come out wonderfully. Searing – your steaks remain juicy in the centre and have a lovely caramelized outside to enhance favours. You may even want to consider a grill pan for those barbecue grill marks you’d find at a top restaurant. Roasting – you won’t need a dedicated roasting pan to make scrumptious roast chicken. A skillet or dutch oven is going to do just as well. 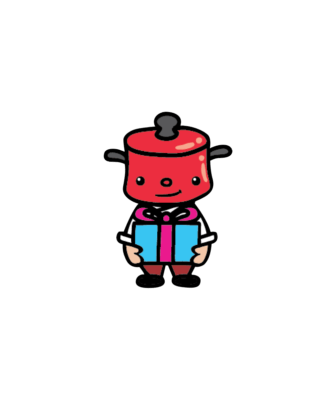 Slow cooking – a French/Dutch oven is wonderful for slow cooking, it heats up slowly and can be left on at a low temperature, either on the stove top or in the oven. Sauteed vegetables – I’m thinking corn with a little piece of butter then served directly on the table for family and friends to help themselves, they just love it. Out door or camping trips – it’s so much fun, and everything tastes better when cooked outdoors. Glass (please be careful it may scratch like any other cookware). Cooking on barbecues, camp fires and hot coals. Remember no cookware is perfect. It is good practice is to preheat cast iron slowly before raising the temperature. Modern cookers can heat very quickly, this sudden rise in temperature may warp your cast iron cookware. However after looking at the pros and cons, we hope you consider cast iron cookware. For many users, once they start using cast iron many no longer go back to cooking in anything else. We really should have finished on a high note and but got too excited with the positive aspects. Lets have a look at some more negative points. This one is not really a surprise. The design for modern cast iron skillets hasn’t really changed over the last 150 years. The handle is still cute stumpy, the same as it was all those years ago. Usually, I’m able to cook meals before the handle gets to hot too handle. However if the pan is too hot, simply grab the handle with with an oven mitt or tea-towel. Lodge also has specifically designed handle holders that fit snugly onto your skillet. They really stop the heat well. The Lodge Handle holders are available on Amazon and come in the popular silicone and cotton with lining like mine pictured. With all cookware consideration maybe needed with young children. Small disadvantage. It really can be rather weighty, body builders pump iron for good reason. The older pans such as Erie made pans are lighter like many of the vintage pans. However they are often pricey because of their collectability. The older lighter pans are also more prone to warping and bowing because the casting was thiner. The high quality French enamelware such as Le Creuset are just as heavy and Staub is slightly heavier again. Lodge cast iron offers a good balance in weight, especially if you’re looking at a large dutch oven. Big Staub cocottes maybe too heavy for many uses. Con. I grab my skillet nearly every time, however when boiling I turn to enameled hollowware or stainless steel. Liquids may be tainted and discolored by the seasoning, if boiling liquid for a long time. It may also lift off that lovely seasoning that makes the skillet or Dutch oven so non-stick and easy to clean. Highly acidic foods are also not recommended for cast iron for example tomato based sauces. 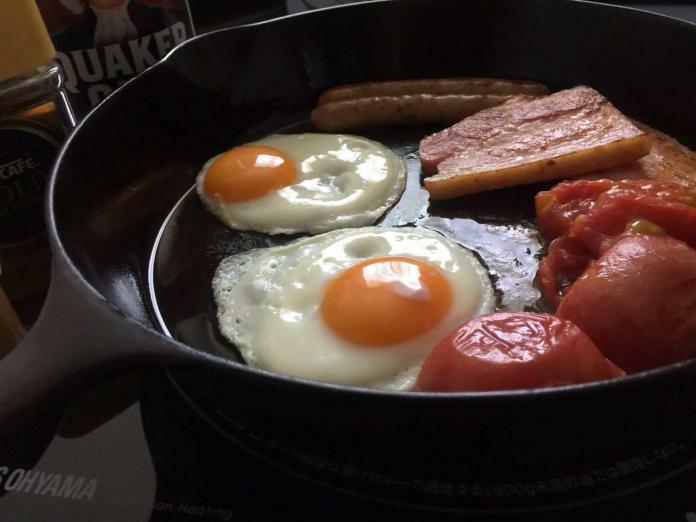 However this not to say you cant fry some tomatoes with your fried eggs and bacon. As long as you have a nicely seasoned pan you’ll cook yourself a great breakfast. The acidity in foods again lifts the seasoning from your pan, also increasing the amount of iron in the food. Food may taste tainted from large amount of naturally released iron when cooking highly acidic food. Minor Inconvenience. Bare cast iron may require seasoning. Cast iron may need re-seasoning if being over-zealous with the use of soap and scouring pads. Firstly this is not difficult (wipe the pan with a small amount of oil then place in the oven and set on a high heat). This seasoning protects the cast iron from rust and gives the pan a non-stick quality. Seasoning is not needed for enameled hollowware and of course other cookware. So re-seasoning is both an advantage and disadvantage. 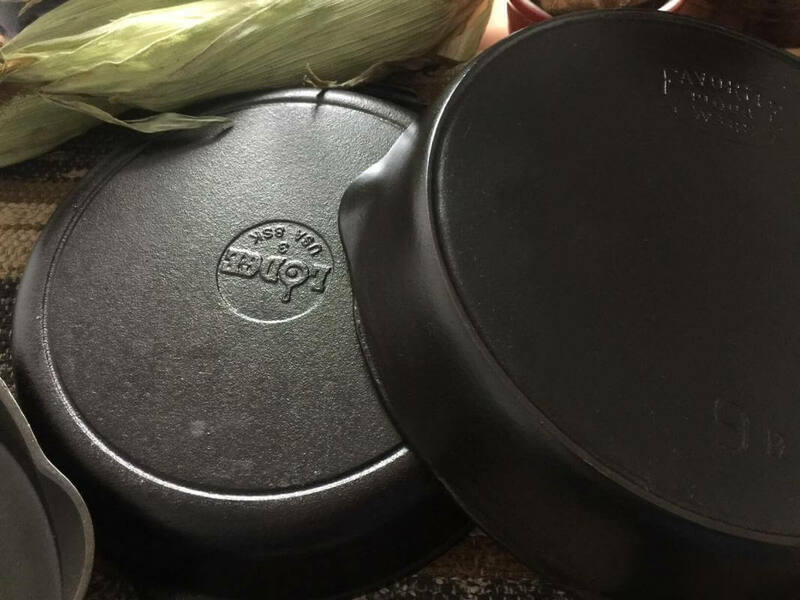 We have weighed the pros and cons of cast iron cookware and we are bigger fans than ever. How about you? Weighing up the pros and cons of cast iron we are first to admit it has both. At Boonie Hicks we are huge enthusiasts and a little biased in favour of cast-iron. However we really tried to give an honest opinion. We really enjoy using our pieces, each seem to have their own personality. They also look great on display they really have that homely feel when they are hung. Therefore if you are looking for a new piece of cookware, cast iron will do you proud for years if not decades. At Boonie Hicks we highly recommend Lodge Manufacturing if you are thinking of purchasing bare cast-iron. The history of the company is really quite amazing. If you’re wondering if I have a Lodge Yes I do it’s a Lodge 10.25 inch skillet that you can see in the post it’s a great cooker and perfect size for singles and couples. I’m very happy with it. Lodge seem a lot smoother than many other makers. They also come at great price and are very easy to use. Cast iron made by Lodge is a great choice. Lodge cast iron skillets are amazing value. You really can’t go wrong with Lodge. Lodge make fantastic cast iron. They are still an America family business and have supported the local community of South Pittsburg Tennessee. Lodge have made their skillet in they South Pittsburg foundry since 1896. Their skillets are easy and fun to use. I’d go for a 10.25inch skillet if you’re cooking for yourself and 12in skillet if you’re cooking for a family. Previous articleWhat are the benefits of ceramic cookware? Lets find out. Next articleVintage cast iron: All about the history of the Sidney Hollow Ware Co.